When it became financially advantageous to have babies out of wedlock, the nuclear family was doomed. In the last hundred years, the American family has been attacked, debased, maligned, slandered, and vilified by every facet of society. No family is safe from the official busybodies. At issue is a rebellion against any sort of moral code. Who Killed the American Family reveals the concerted assault on the American nuclear family by many forces – feminists, judges, lawmakers, psychologists, school districts, college professors, politicians offering incentives and seeking votes, and more – opposed to the traditional American nuclear family, each with its own raison d’etre for wanting to abolish it. The wreckage of the American family leaves us with the inability to have limited government because government steps in to perform tasks formerly done by the nuclear family. 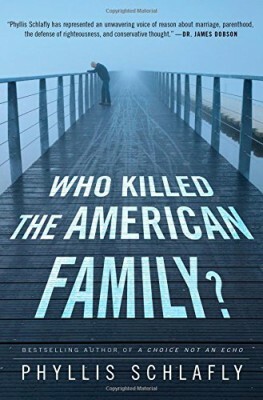 Continue reading WHO KILLED THE AMERICAN FAMILY?